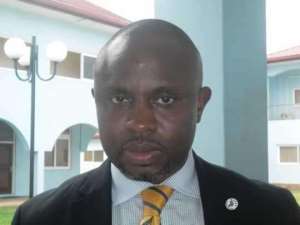 Dr Chukwuemeka B. Eze, the Executive Director, West Africa Network for Peacebuilding (WANEP), has hailed President Nana Addo Dankwa Akufo-Addo's mediation efforts in addressing the ongoing political crises in Togo. 'I am very excited and commend the efforts of President Akufo-Addo. I am shocked that he is managing the process as somebody who already has wealth of experience and I think that the outcome of the Togo mediation will lead him to places. I wish him and his team very well.' Dr Eze stated at the weekend in an interview with the Ghana News Agency in Accra. Dr Eze said mediation and dialogue for that matter was a process and not an event; stating that there were important considerations before going into mediation and before making even somebody a mediator and in this instance, President Akufo-Addo as the lead mediator on behalf of the ECOWAS Authority of Heads of States and Governments. He said both the opposition parties and the ruling party in Togo had all agreed in the choice of President Akufo-Addo as the mediator. Dr Eze said sometimes it was difficult to find in official mediators the capacity and skills of the mediator. 'In otherwise, sometimes you could have good offices, you could have the confidence of the disputants, but you now lack the requisite skills to mediate. But I am exquisitely overwhelmed and commend the efforts of President Akufo-Addo so far,' he said. He said President Akufo-Addo's opening statement at the maiden meeting with both the ruling party and the opposition parties in Togo and his approach to the issue was very clinical and praised President Akufo-Addo for informing the parties within the confines of the ethics of mediation that he was not a judge and that he had no interest, and that his role was to manage the process. Dr Eze said for a mediation process to succeed, two key things were needed, 'The first is the process and the second is the willingness of the parties to resolve. I did not expect that conflict that has taken several years, including perceptions of mistrust and realities views, that just in one engagement, that the parties will say okay everything is fine. 'So I expected that there will be even walk outs from the process, but I think that what is clear to me is that the presence of both the ruling party and the opposition political parties in the room, signalled to me the willingness to resolve. What is now important is to sustain the process'. On how relevant it was resolving the Togo crisis to Ghana and the sub-region, Dr Eze said, 'In my opinion if Togo goes into flames, and the conflict is uncontrollable, the first country to be a victim will be Ghana'. He also urged the ECOWAS Community to provide the mediation team with the necessary support to resolve Togo's political crises. Dr Eze, said the support could be in terms of some technical areas like gender expertise, process design and management expertise, constitutional drafting and agreement drafting expertise and issues relating to electoral process and explained that President Akufo-Addo would need these key areas as back door support to be able to move the process forward. 'Otherwise, the danger in initiating the process of mediation is that if he fails in some aspects or all the aspects, it is usually very difficult to reconvene. Because it increases the possibility of mistrust, it increases also the hardening of positions of parties in the dispute, which for me will be a tragedy for this process. 'In my opinion, since it is the first mediation efforts that President Akufo-Addo is leading on behalf of the sub-region, it is important that he succeeds, so that such capacities will be sustained within the sub-region,' he added. Dr Eze said the peace and stability of Togo was very crucial for Ghana and the West Africa sub-region's socio-economic development. He said 'we now have the 15 member states of ECOWAS all on the path of periodic election guided by the ECOWAS Protocol on Democracy and Good Governance;and that for me, will be huge achievement for the sub-region. 'No other region in Africa has recorded this kind of achievement within the progress made in democracy, which of course include periodic elections and clear term limits.....it is only West Africa. 'And if we get it right in Togo, we will say all the 15 ECOWAS Member States are now on the path of prosperity'.